Hawaii's Building Specialist for over 75 years! 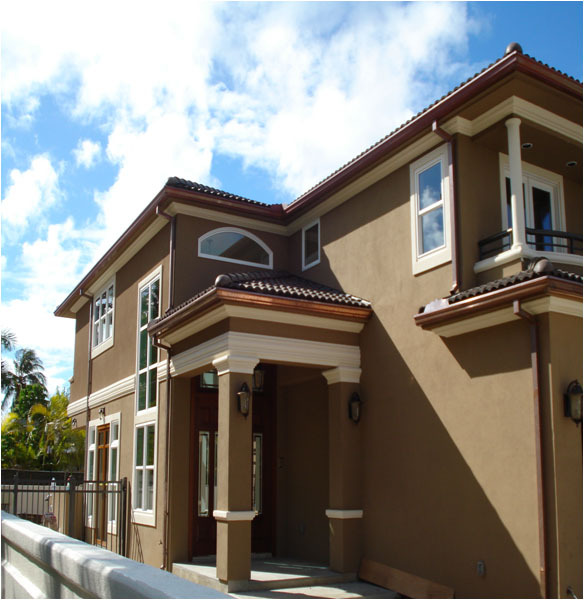 Founded in 1937, Robert M. Kaya Builders, Inc. is a licensed General Engineering, General Building and Specialty Contractor in the State of Hawaii. Our license number is ABC-3526. Beginning as a one man Home Improvement/Remodeling Specialist, Robert M. Kaya Builders, Inc. has since grown into a diversified, third generation construction firm specializing in residential & commercial construction/renovations. No job is too small for Robert M. Kaya Builders, Inc. We take pride in servicing the little guy. From repairs & additions, to custom homes or offices, we will always service the people of Hawaii who have helped make us what we are today. See some of our recent projects. Robert M. Kaya Builders, Inc. is fully bonded and insured. We also believe in giving back to the community that has supported us over the years. We have made numerous contributions to charities and organizations in the State of Hawaii. Robert M. Kaya Builders, Inc. is an equal opportunity employer, employing members of the United Brotherhood of Carpenters and Joiners of America, Local 745 AFL-CIO; the Laborers’ International Union of North America, Local 368 AFL-CIO; the Masons & Plasterers Union Local 1 & 630; and the Operating Engineers, Local Union No. 3 of the International Union of Operating Engineers, AFL-CIO. We are members of the General Contractors Association of Hawaii, the Building Industry Association of Hawaii, the National Association of Home Builders, the Honolulu Japanese Chamber of Commerce, the Japanese Cultural Center of Hawaii, and the Better Business Bureau of Hawaii.